Aim. Study of the kinetics of oxidation of zirconium alloy Zr-1% Nb and Zr with heating in air, depending on the heating rate and processing time. Method. Zirconium alloy Zr-1% Nb and zirconium of vacuum remelting were chosen as the material of the studies. For the thermal treatment, a laboratory electric furnace SNOL30/1300 was used. The heating rate was varied from 2.5°C/min. up to 20°С/min., and cooled together with the furnace. When the samples were cooled to a temperature of 270°C, air was introduced into the chamber of the furnace for a thin oxide film, which prevents the metal from being irrigated at atmospheric conditions. The samples were thoroughly washed in acetone and alcohol before heat treatment, and then dried. Results. It was found that during the oxidation in air, an increase in the heating rate from 2.5°C/min. up to 6.0 and 7.5°C/min. reduces the activation energy of the oxidation process of Zr from 70.2 to 67.0; 52.7 kJ/mol, respectively. Whereas for Zr-1% Nb zirconium alloy, the heating rate increases from 5°C / min. to 10; 20°C/min. causes an increase in the activation energy of the oxidation process of the zirconium alloy Zr-1% Nb from 65 kJ/mol to 70.1; 78.5 kJ/mol, respectively. Scientific novelty. The kinetics of oxidation of the Zr-1% Nb and Zr zirconium alloy was experimentally studied and analytically described for heating in air, depending on the heating rate and residence time. It is shown that an increase in the rate of Zr zirconium heating of vacuum remelting Zr from 2.5 to 7.5°С/min, and Zr-1% Nb alloy from 5 to 20°С/min leads to a decrease in the size of the ZrO2 oxide film. It was found that an increase in the temperature from 750°C to 800°C for 5 hours leads to a change in the oxidation function from parabolic to quasilinear. Practical significance. The regularities of saturation of zirconium alloys have been established. They can be used to select the processing regimes for finished articles from zirconium-based alloys. 1. A. S. Zaymovsky A. V. Nikulin, N. G Reshetnikov, Tsirkoniyevyye splavy v atomnoy energetike [Zirconium alloys in atomic energy]. Moscow, Russia: Energoatomizdat Publ., 1981, [in Russian]. 2. T. P.Chernyaeva, A. I. Stukalov, V. M. Gritsina Kislorod v tsirkoniye: Obzor po materialam otechestvennoy i zarubezhoy pechati po 1955-1999 gg. T. 2. [Oxygen in zirconium: A review of the materials of the fatherland. and abroad. of the press for 1955-1999]. T. 2., 1999. Charkiv, Ukraine [in Russian]. 3. T. Tsuji, M. Amaya T. “Study on order-disorder transition of Zr-O alloys (O/Zr=0-0.31) by heat capacity measurement” in Journal of Nucl Mater, Vol. 223, No 1, Netherlands, Elsivier, 1995, pp. 33-39. 4. O. M. Sreedharan, J. B. Gnanamoorthy, “Oxygen potentials in alkali metals and oxygen distribution coefficients between alkali and structural metals - an assessment” in Journal of Nucl Mater, Vol. 89, No 1, Netherlands, Elsivier, 1980,pp. 113-128. 5. D.L. Smith, K. Natesan, “Influence of nonmetallic impurity elements on the compatibility of liquid lithium with potential CTR containment materials” in Nuclear Technology, Vol. 22. USA, Taylor&Francis, 1974, pp. 392-404. 6. Kh. Dzh. Goldshmidt, Splavy vnedreniya [Alloys of the introduction]. Issue II, Moscow, Mir Publ., 1981 [in Russian]. 7. P.Y. Chevalier, E. Fischer “Thermodynamic modeling of the O-U-Zr system” in Journal of Nucl Mater, Vol. 257, No 3, Netherlands, Elsivier, 1998 pp. 213-255. 8. P. J. Harward, I. M. George “Determination of β/β+γ eutectoid transition temperature in ZrO2-x at variable heating/cooling rates” in Journal of Nucl Mater, Vol. 265, No 1-2, Netherlands, Elsivier, 1999, pp. 65-68. 9. P. J. Harward, I. M. George “Dissolution of ZrO2 in molten Zircaloy-4 in Journal of Nucl Mater, Vol. 265, No 1-2, Netherlands, Elsivier, Netherlands, Elsivier 1999, pp. 69-77. 10. A. Uells, Strukturnaya neorganicheskaya khimiya [Structural inorganic chemistry]. Vol. 2, Moscow: Mir, Publ., 1987 [in Russian]. 12. G.M. Hood, “Point defect diffusion in α–Zr” in Journal of Nucl Mater, Vol. 159, No 3, Netherlands, Elsivier, 1988 pp. 149-175. 13. T Arama, et al., “Oxidation kinetics of Zircaloy-2 between 450°C and 600°C in oxidizing atmosphere” in Journal of Nucl. Mater.,Vol. 257, №1, Netherlands, Elsivier,1998, pp. 67-77. 14. G. Boureau, P. Gerdanian, “High temperature thermodynamics of solutions of oxygen in zirconium and hafnium” in J. Phys. Chem. Solids, Vol. 45, (2), Netherlands, Elsivier 1984, pp. 141-145. 15. P.Y. Chevalier, E. Fischer, “Thermodynamic modeling of the O-U-Zr system” in Journal of Nucl Mater, Vol. 257, No 3, , Netherlands, Elsivier 1998, pp. 213-255. 16. K.L. Komarek, M. Silver “Thermodynamic properties of zirconium-oxygen, titanium-oxygen and hafnium -oxygen alloys”, in Proc. Int. Conf. Thermodynamics of Nuclear Materials. Vienna, Austria, 1962, pp. 749-774. 17. D.L. Olander, W.-E. Wang, “Thermodynamics of U-O and Zr - systems and application to analysis of fuel liquefaction during severe accidents in light water reactors” in Journal of Nucl Mater, Vol. 247, , Netherlands, Elsivier 1997, pp. 258-264. 18. M. V. Ganduglia-Pirovano, A. Hofmann, J.Sauer “Oxygen vacancies in transition metal and rare earth oxides: Current state of understanding and remaining challenges” in Surface Science Reports, Vol. 62, 2007, pp. 219-270. 19. G.M Hood, “Point defect diffusion in α-Zr” in Journal of Nucl. Mater.,Vol. 159, Netherlands, Elsivier,1998, pp. 149-175. 20. Ritchie I.G. “The diffusion of oxygen in alpha-zirconium” in Journal of Nucl. Mater.,Vol. 63,·(3) , Netherlands, Elsivier,1977, pp. 254-264. 21. Hood G.M, et al., “Oxygen diffusion in α-Zr single crystals” in Journal of Nucl. Mater.,Vol. 210,·(1-2) , Netherlands, Elsivier, 1991, pp. 1-5. 22. R.A. Perkins Perkins R.A. “The diffusion of oxygen stabilized cc-zirconium and Zircaloy-4” in Journal of Nucl. Mater., Vol. 73,·(1) , Netherlands, Elsivier,1978, pp. 20-29. 23. D. Duglas Metallovedeniye tsirkoniya [Metallurgy of zirconium] Trans. with English. Ed. member corr. AS of the USSR AS Zaimovskiy, Moscow, Russia: Energoatomizdat Publ., 1975, [in Russian]. 24. V.I. Barsukov, Fizika. Obrabotka rezultatov izmereniy i sostavleniya otcheta: metod. ukaz. [Physics. Processing of measurement results and preparation of the report: Method. decree], Tambov, Russia, House of Tamb. state. tech. University Publ. 2006, [in Russian]. 25.M. 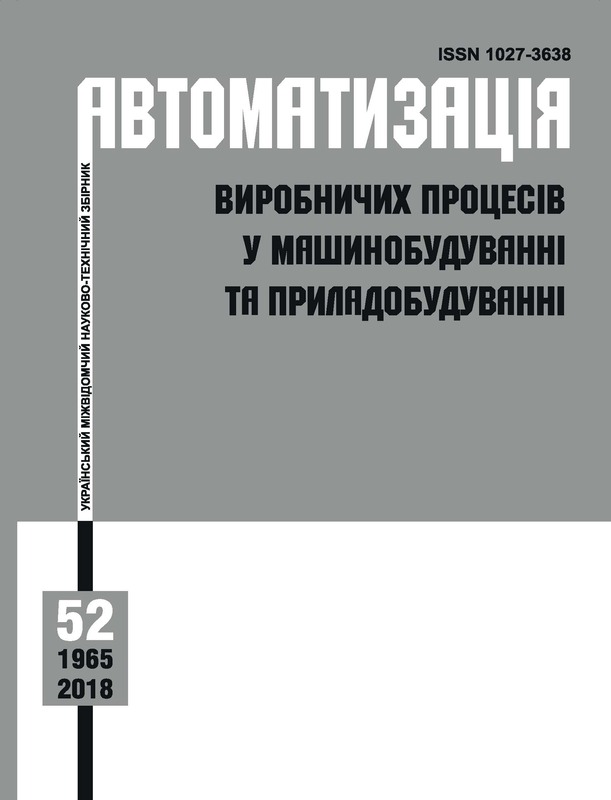 N. Stepnov, A. V. Shavrin, Statisticheskiye metody obrabotki rezul'tatov mekhanicheskikh ispytaniy: Spravochnik [Statistical methods for processing the results of mechanical tests: Handbook], 2nd edition, revised., Moscow, Russia: Mashinostroyeniye Publ., 2005., [in Russian]. 26. Kogan YA. D., et. Al., Konstanty vzaimodeystviya metallov s gazami: sprav. izd. [The constants of the interaction of metals with gases] Moscow, Russia: Metallurgiya Publ., 1987, [in Russian].